How can Democrats in the US Congress deal with the republican leaders when they lie without a second thought and when there is a video proving their lie. 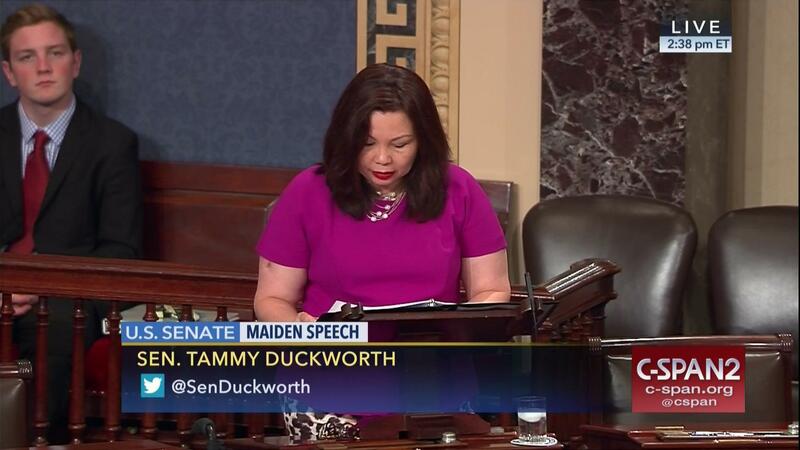 I am a C-Span lover. Thanks to C-Span 2, a video has gone viral where the Democratic Senator Claire McCaskill can be seen to be presenting an amendment to make sure our military troops continued to be paid without interruption but she was shut down faster than a speeding bullet by none other than the US Senate Majority Leader Mitch McConnell. She did this because this was what was done for our men and women serving in the Armed Forces at the last 2013 government shut down. Yet, the lower House Speaker Paul Ryan went on the Sunday TV News shoe, “Face the Nation” to deliberately lie about this and to say that the Democratic President Barack Obama had deferred the pay for the military when he knew better. He was one of the republicans who voted in favor of a motion to make sure the military did not have their pay interrupted. Vice President Mike Pence in front of troops on the front line in the Middle East, complained about how the democrats were responsible for the them missing any pay. Instead of talking to the troops to lift them up and letting them know that America appreciates their service, the Vice President was using this time to share a pre-planned talking point. Little did he know that every military media outlet including the “Stars and Stripes”had been reporting the entire story. It is not possible to go much lower than this. The public have not been fully informed that the Senate Leader Mitch McConnell shut down Democrat from Montana, Senator Jon Tester’s efforts to offer an amendment to keep the government open for 3 days. Then there are all the multiple attempts by folks from both sides of the aisle to negotiate a deal with the president on immigration issues including DACA (program to prevent deportation of young peoples who came to the US as children with undocumented parents and who know no other country) to where they thought there was an agreement only to be told later, that this was not the case. 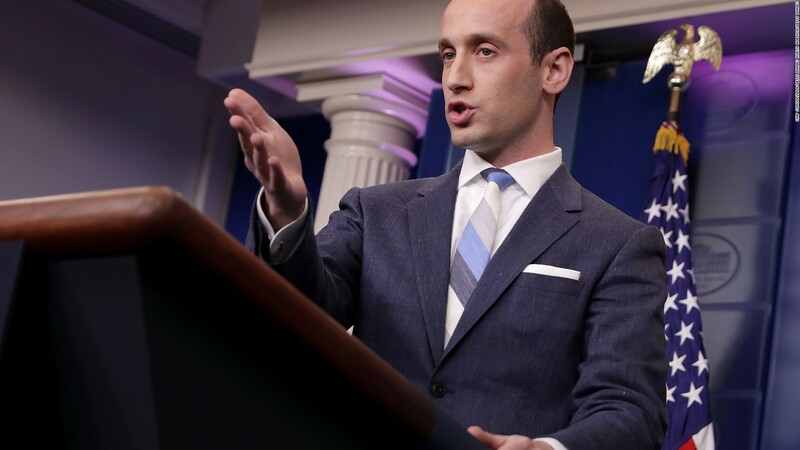 It seems that a 32 year old staunch anti-immigrant advocate, Stephen Miller has been the one leading the president by the nose when it comes to any immigration issue. 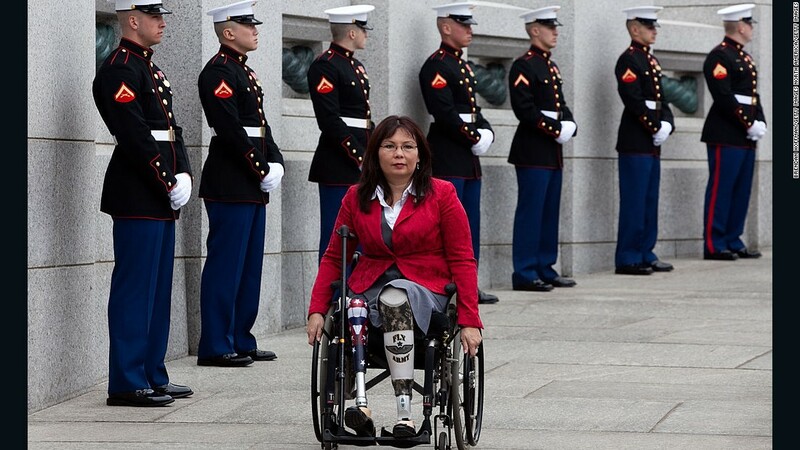 See (below) how Iraq War veteran, Senator Tammy Duckworth (D-IL) addresses these issues. “I will not be lectured about what our military needs by a five deferment draft dodger,” she declared on the Senate floor. Citing Trump’s tweet, she slammed Trump for his baseless accusations and delivered a scorching retort to his bluster. As they so often do, Republicans have used the military as a political pawn this weekend, turning the shutdown into a blame game and accusing Democrats of not caring about our men and women in uniform — despite the fact that it was Senate Majority Leader Mitch McConnell who rejected a Democratic resolution to ensure that members of the military would continue to get paid, even during a government shutdown. am reblogging this on Suziland Too. People need to stop the blame game and start doing their jobs! Amen! Each side wants to win the spinning game instead of getting down to business. The Republicans by lying, are not winning at this game, so they may as well do their job. This seems to be a case “He who shouts loudest wins!”, at least in the min of Dominator, The. The words are not important, who cares if there if any truth in them, “Just keep raising your voices louder and louder until no one can hear anyone but us.” Apparently this it how DT plans to take over the world. Hopefully the military WILL NOT back his play, especially since they will have to do that without pay! I am appalled about how the norms of decency have just been thrown out the window. I want advertisements showing VP Pence in front of military men and women on the front lines, using them as military props. This is just NOT done except in this administration. Then he lied to them that democrats were at fault for their pay being delayed when there is a video (gone viral) showing the democratic Senator Claire McCaskill offering an amendment not to interrupt the pay of our military like was done in the 2013 government shut down, but she was shut down faster than a speeding bullet by the republican Senate Leader Mitch McConnell. The military have access to military papers like the “Stars and Stripes” which reported on Senator Claire McCaskill’s story. They all knew that the VP Mike Pence was lying to them. Thanks for the reference. It is a good thing to have the shut down ended for the American peoples. This is one day at the time. It looks like the lying bug is contagious. We cannot continue to operate this way where politicians foolishly think they can lie at will without any consequences. We have seen the following presidential republican sycophants lie to where democrats can cut ads for the Senators Cotton and Perdue, Rep. Paul Ryan and VP Mike Pence caught in the act. I concur that there are the trio of General Kelly, Stephen Miller, and President Trump. But there are two other republicans that the president likes, Senator Tom Cotton and Rep Mark Meadows from your beautiful state of NC. Time ought to do us all a favor by putting Mr. Miller on one of its covers. Meadows is a Freedom Caucus extremist. So, the fact you highlighted him is not a surprise. It is interesting how the lies about the military pay are not getting the press they deserve. I read in a poll that 38% faulted Trump for the shutdown and 39% faulted the Democrats in Congress. Independents gave Trump the nod overwhelmingly while Republicans are still blinded by the man. 18% of Republicans said the man showed strong leadership with 62% of Independents saying he did not. This President screwed people over, was unprepared, demeaned and lied – I guess that is strong leadership to some. I’ve been wondering when the senators were simply going to cut the president out of the negotiations as he is so unreliable in making commitments. The US Senate was already so dysfunctional thanks to Senator Mitch McConnell. Thank goodness a few are getting together in the Sen. Collins’ office with her talking stick.Hopefully the Dreamers will be taking care of by Feb 8.